One thing that we can't deny here at Crafty Towers is that we like to write. Were we to calculate how many words were emitted into the public sphere via the site and its associated newsletters each year, it would probably represent some sort of crime against humanity. However, with the head Crafty Pinter technically on holiday on the other side of the planet (no such thing as holiday in Crafty Land, obviously), we've been leaning heavily on our band on contributors to keep the flag a-flying. 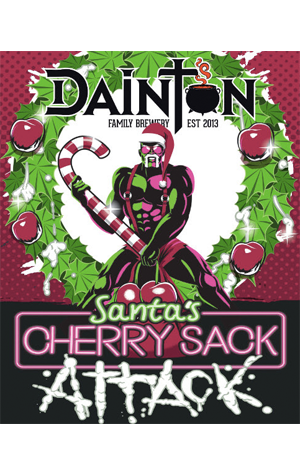 But in seriousness Santa's Cherry Sack Attack is our take on what a real Australian Christmas Day beer should be. Using fresh squeezed Yarra Valley cherries and adding them to a sour malt base we have created a sessionable summer sour. The perfect beer to get you through Christmas day with the family.